At Harbor Family Eye Care, our optometry staff works together to ensure your visit is comfortable and completed in a timely manner. We have a qualified team of professionals that will work around your busy schedule and address any questions or concerns prior to the appointment. Whether it’s a general eye exam or treating a condition that requires an in depth diagnosis, our team provides undivided attention to each patient so we can evaluate a plan based on your needs and our professional opinion. Our doctor offers full vision examinations and will diagnose and treat an array of eye diseases and conditions to keep your eyes healthy! Dr. Ramsey received her doctorate of optometry from Southern College of Optometry in Memphis, Tennessee. While attending, she was elected to several leadership positions including Class President and National Optometric Student Association President. In addition, she was recognized for her leadership by induction into the Gold Key Optometric Honor Society, and elected Treasurer. She currently holds the highest therapeutic licensure from the Virginia Board of Optometry. Prior to attending Optometry School, she received a Bachelor’s Degree in Chemical Engineering from Texas A&M University. Dr. Ramsey enjoys all aspects of optometry including contact lenses, pediatrics and ocular diseases such as Glaucoma. She interned with the Phoenix Indian Health Service and has visited the Dominican Republic and Jamaica to provide free eye care. Dr. Ramsey has recently joined the Portsmouth Host Lions Club to continue serving the Portsmouth community. Sandra is a very friendly, vibrant hardworking team member. Perfecting her customer service skills, Sandra has worn many work hats from manager of a doggy daycare to delivery driving. However, her true passion has been caring for people in the medical field. For the previous 5 plus years Sandra has been a dental assistant in Phoenix, Arizona. Sandra and her two pugs moved to Virginia in January of 2016 to be closer to their loving family. She is currently an “A” student at Norfolk Technical Center finishing her 2nd year in a 3 year optician program. CJ attended the Bryant and Stratton College for Business and Human Services, earning a degree in business and human services. 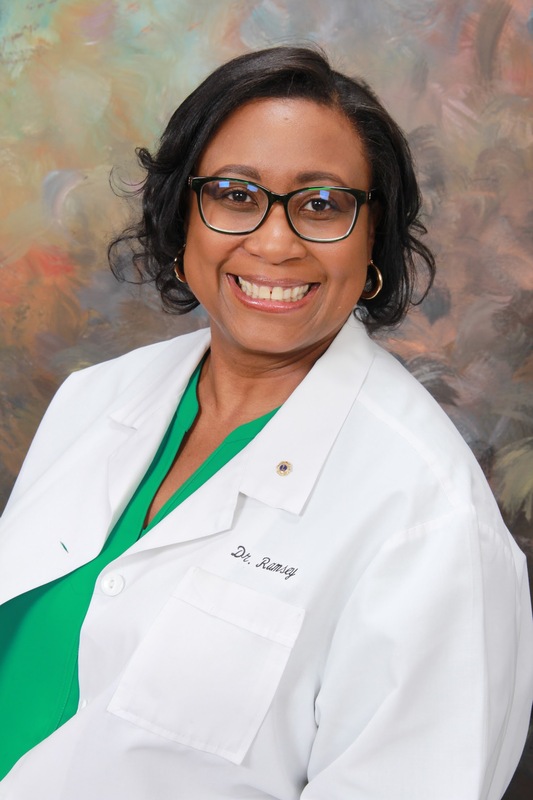 CJ has been with Dr. Ramsey since 2017 and truly values interacting with people and helping others. CJ’s hobbies include travel, singing, amusement parks, eating, and shopping.